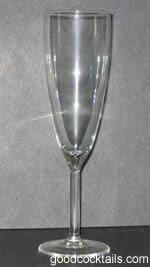 Pour cranberry juice into a champagne flute. Almost fill it with champagne. Add the Cointreau.